We live in a time of accelerated change. Never has technology played a more significant role in enabling change in organizations, markets, nations, businesses, and in all walks of life than it does today. Given the pace of change, it is not enough for organizations and businesses to adapt to the world of today; they must move forward. Consider this – visionaries like Christopher Previte from the New England Institute of Art are pushing the boundary from the simple focus on UI/UX concepts to the notion of impermanence and ways we can incorporate it into our design practices and improved customer experiences. Big Data, Cloud, Agile, and DevOps are mere table stakes giving way to advanced concepts in Cloud Native and Design Thinking, along with an emphasis on open analytical ecosystems and unified execution models (data processing through analytics in a single Cloud environment) for self-service in data science modeling by non-technical analysts. With all these changes, it’s easy to fall into the “What’s the next great idea?” trap without paying attention to the fundamental realities of culture, readiness, and value. Instead of innovating to drive a press release; we need to innovate optimally. What do we mean by optimal innovation? It is innovation that tempers pure exploratory freedom with a level of organizational and customer maturity. One might term this incremental innovation, because it can be consumed and leveraged, versus disruptive innovation, that might burn too hot, too quickly, and not create enduring value for the organization or its customers. At CVP, we try to strike a delicate balance by adopting a Center of Excellence (CoE) approach to innovation. Through this approach, our teams go well beyond ideation; we prove the value by rapidly creating feasible, outcome-oriented solutions driven by our clients’ current and anticipated challenges. Innovation ideas relate to an expansive point of view, but the focus is on practical implementation. The result is our incrementally innovative solutions which are simple, easy to reuse, and reduce time-to-market for our clients today, while preparing them to build upon these proof-points for the future. Business Transformation: Led by Shamaa Ahmad, the Business Transformation Practice (BTP) brings a multi-disciplinary focus to enable change now and in the future for our clients. With a focus on people, CVP identifies the right strategic vision by leveraging an appropriate operating model, aligning leadership, and understanding the “Voice of the Customer.” Our BTP features competencies in the areas of Practical Enterprise Architecture, Organizational Transformation, Lean Performance and Transformation, Customer Service Improvement, and Contact Center Optimization. Learn more here. Technology Modernization: Led by Faqir Ahmed, the Technology Modernization Practice (TMP) delivers a holistic approach in which business goals, processes, requirements, limitations of legacy systems, and Total Cost of Ownership (TCO) are factored into migrating, evolving, and modernizing a client’s IT investments. Through a set of tested, secure, and performance-enhancing solutions, our TMP brings scalable best-of-breed solutions to our clients in the areas of Digital, Mobile, Cloud, DevSecOps, Mainframe Workload Migration, and Business Process Optimization. Learn more here. Data Science & Engineering: Led by Cal Zemelman, the Data Science & Engineering Practice (DS&E) focuses on delivering advanced technical capabilities in areas including Cloud-native analytics, data ecosystems that support reproducible research, data-driven Customer Experience Optimization, Intelligent Data Management, and Explainable AI. Learn more here. Cybersecurity: Led by Andrew Onello, the Cybersecurity Practice (CP) delivers a preeminent set of innovative and continuous security services to effectively manage our client’s risk and improve their security posture in an uncertain and frequently changing cyberspace world. The CP creates solutions and strategies across a wide spectrum of available cybersecurity services–including security operations, Cloud security, automation, risk management, and cyber defense–that support Security Orchestration and Automation Response (SOAR), Automated Security Assessments (ASAs), Accelerated Authority to Operate (AATO), and Continuous Diagnostics and Mitigation (CDM) to secure our client’s environments. Learn more here. CVP’s Practice and Innovation Leads will be blogging throughout 2019 on relevant topics and technologies. We welcome your comments and suggestions. Please email us at blog@cvpcorp.com. 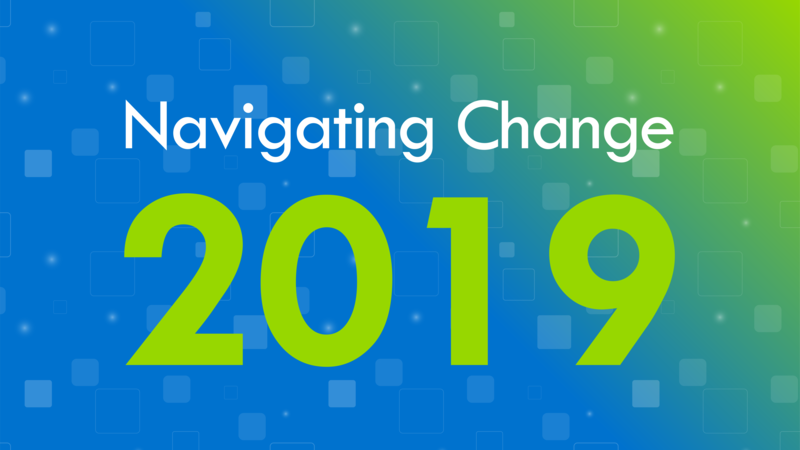 Looking forward to the year ahead – Navigating Change 2019. Interested in getting insights and updates?